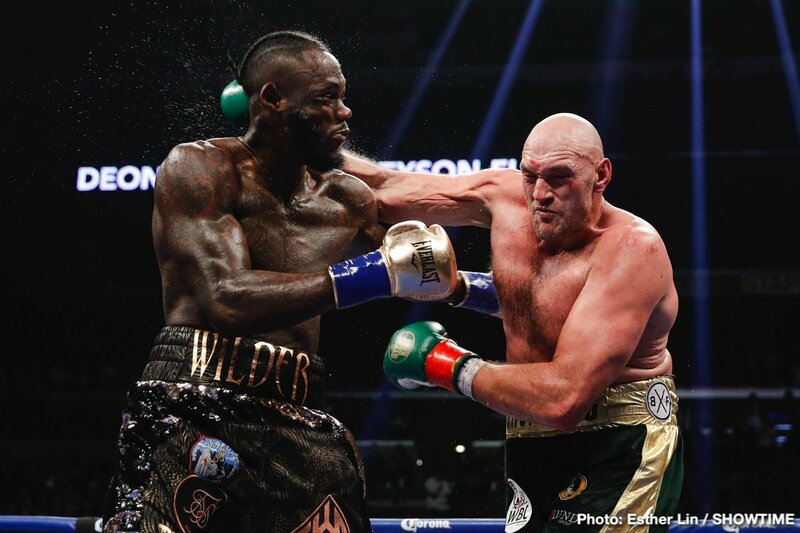 As soon as the controversial decision was read out at The Staples Centre in Los Angeles, fans everywhere began calling for a return fight between unbeaten heavyweights Tyson Fury and Deontay Wilder. Not only was the draw a bone of contention for many, nearly everyone in fact, the fight was also great enough to make a rematch worthy. The fans want it and it seems both Wilder and Fury want it, too. Wilder has said he would be willing to fight Fury again “ASAP,” while Fury is calling for the rematch to take place at Old Trafford football ground in his home town of Manchester. According to a news story from talkSPORT, the WBC will consider ordering the rematch. Fury’s promoter Frank Warren said at the post-fight presser how he would write to the world governing body, to let known his displeasure with the drawn verdict and to petition a return fight. It seems we will see this rematch, and that it is only a matter of time. And venue. Just where should the return fight take place? In fairness, it should be somewhere in the UK seeing as how Fury, the lineal champ, travelled to the US for fight-one. Wilder may or not be open to coming to the UK (he has boxed here once before, when he iced Audley Harrison inside a round back in 2013). In terms of where the fight would generate the most money, maybe a UK stadium fight would pull in the cash. Then again, maybe this sequel should take place at one of the top hotels/casinos in Las Vegas. So has Warren sent his letter yet, or not? Either way, this particular rematch will, more than likely, not need to be ordered by a governing body. Both Wilder and Fury want it. They are, after all the two proven best heavyweights in the world today. Next boxing news: Deontay Wilder: The Only Heavyweight Who Loses Pounds After The Official Weigh-In! You are here: Home / Boxing News / WBC May Order Wilder Fury Rematch – But Where Should The Fight Take Place?